A successfull App Store is all about the customer. Follow our guide to customize your store towards your target customer. Modify Your App Store, recommend the Best Apps and delight your customers. On an Android device you can view your store both as a web service and a native downloadable Android App. To view the web version of your store on Android click here in your smarphone. 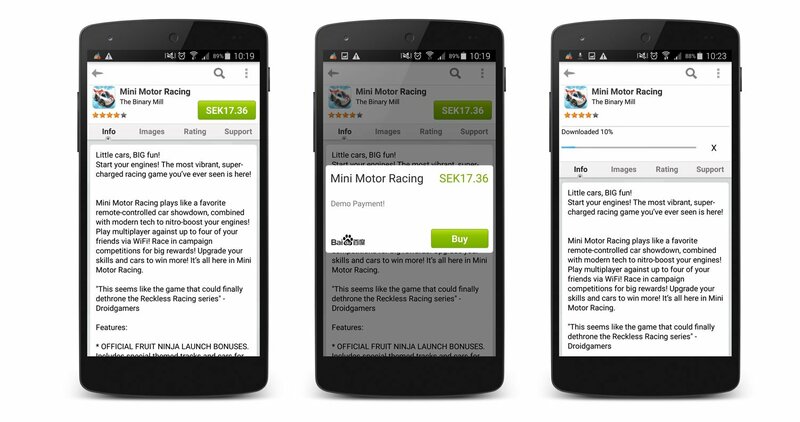 Download your native Android App Store from your Web Store. Try it on your computer, tablet and smartphone to see how the web store adjusts to different devices and orientations (horizontal/vertical). On an iPhone you can view your store as a web service. Due to Apples rules it is not possible to have a downloadable app. Instead the web service act as a recommendation service for apps helping your customers to discover new apps. To view your store on an iPhone click here in your internet browser on your phone. Modify services do you offer? 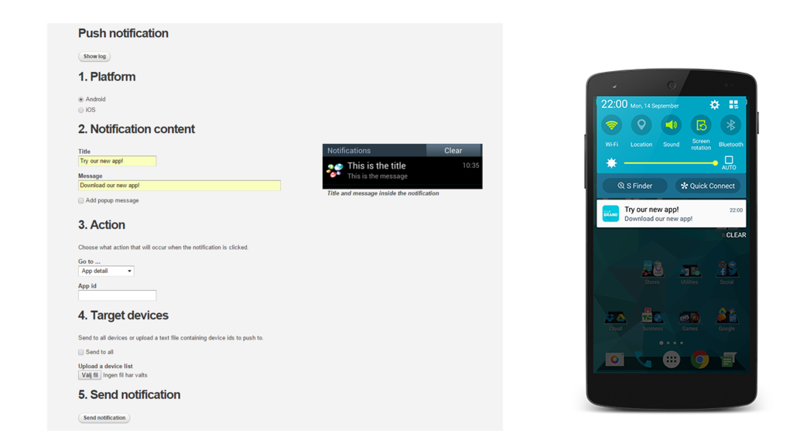 The Start Page is the first page your users will see when opening the native Android App Store. We recommend to feature quality apps and change these apps frequently to increase retention among your users. Either feature your own recommended apps list in the App Store's Toplists Page or choose between several pre-defined lists as My friends apps, Newest apps, Most downloaded, Trending Apps and Apps near. You can create your own Recommended Apps List in the native Android App Store, this feature is valuable if you want to highlight apps that you know will bring extra value to your users. The Sliding Banner is a list that you can pre-define and feature on the Start Page. The list is dynamic and will slide every third second, this list will increase the discovery of apps. On the Startpage you can choose to either feature an App, a pre-defined App List, a Web Link, a Sliding Banner or a Web Tile. Feature a pre-defined App List, e.g. “New Apps” so that your users easily can discover what’s new in the store. With the Web Link function you can add an URL to a tile so that you easily can cross promote other services, e.g. your website. 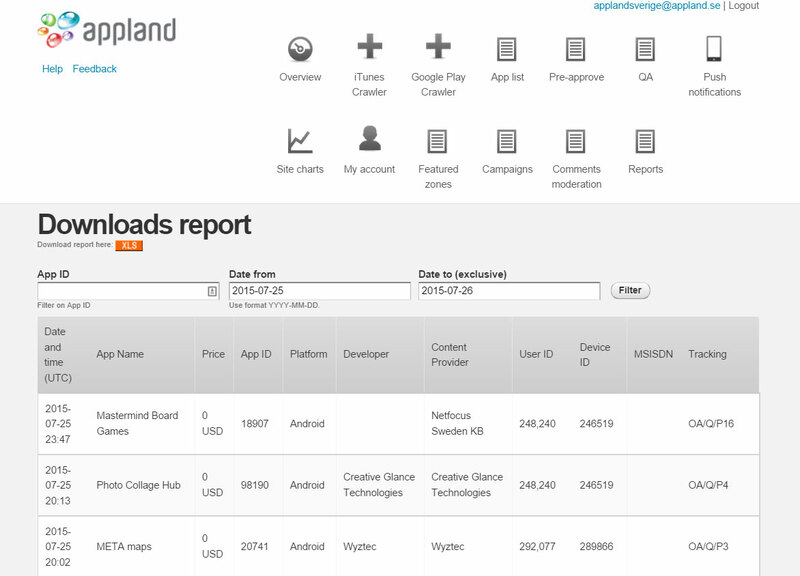 Send your apps with meta data to andreas.norlander@applandinc.com and I will do the job for you! 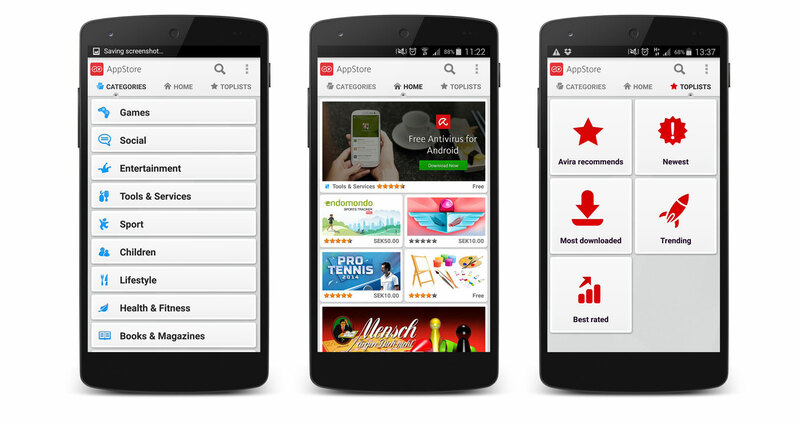 Are your users searching for apps in your store that you haven't acquired yet? 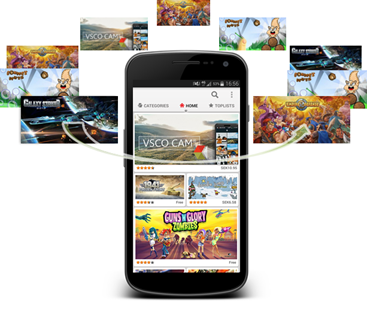 Easily add apps hosted at Google Play in the meantime while your acquiring new fresh content. By doingt this you will extend your content offer. Add Android apps hosted a Google Play to your native Android App Store and Web Store by either searching for it or by entering Google Play URLs e.g. https://play.google.com/store/apps/details?id=se.appland.applauncher. 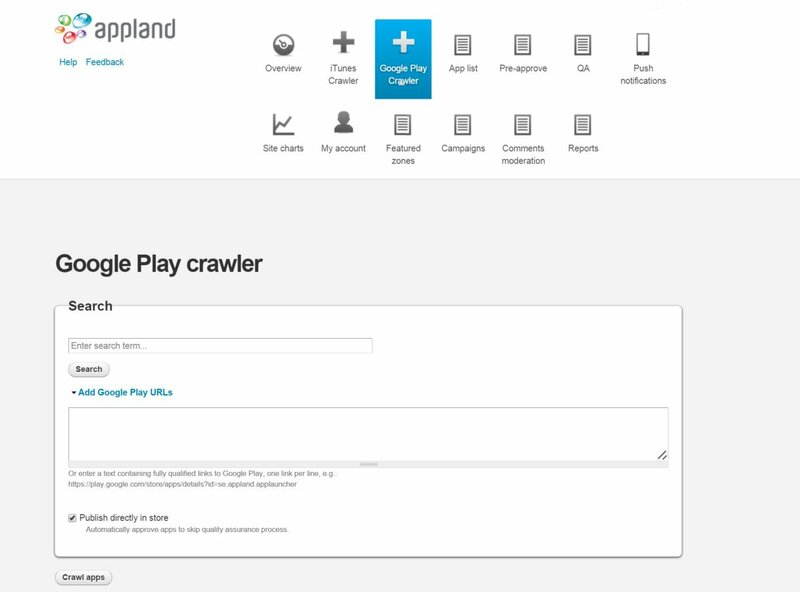 Appland's Google Play Crawler fetches meta data from Google Play and when your users clicks on the app in the store they will get re-directed to Google Play, where the actual download occurs. Add iOS apps hosted at iTunes to your iOS recommendation service by uploading a list containing URLs to iTunes e.g https://itunes.apple.com/app/weather/id347454521. 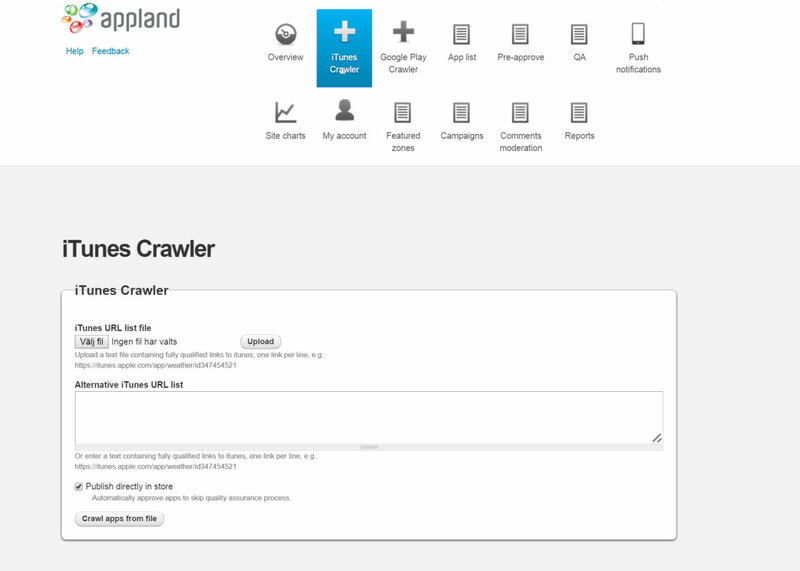 Appland’s iTunes Crawler fetches meta data from iTunes and when your users clicks on the app in the iOS recommendation service they will get re-directed to iTunes, where the actual download occurs. Configure your review and approval process the way you want it, either no step, one step or two step. By not having any steps at all, all apps that are submitted to the store will be published directly. By having one step, a Quality assurance team can review and approve the apps before getting published. We recommend a 2 step process, where a team in step 1 only checks the meta-data of the app and then in step 2 makes sure that the functionality of the app is perfect before getting published. You can view all apps that are approved by the Store Manager and live in the app store by clicking the menu item “App List”. You can filter out a subset of live apps by selecting platform and/or category. 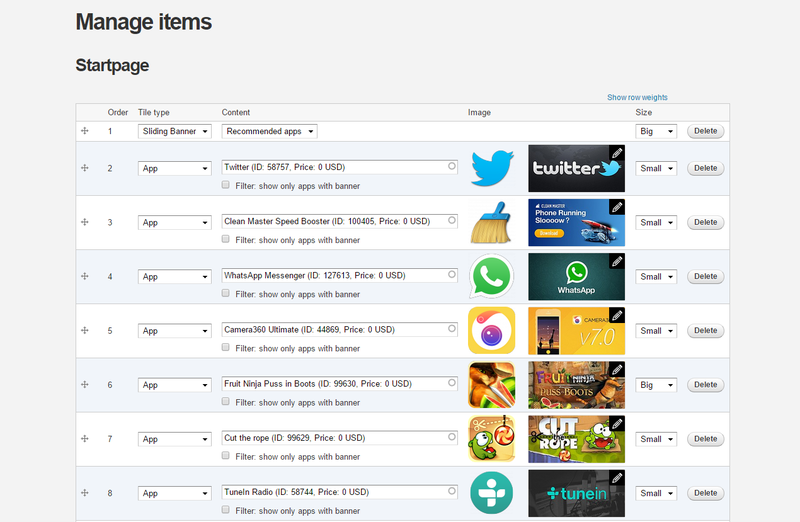 You can also search for specific apps based on part of title, developer or names of content providers. The “Log” displays all events (new APK-files that have been uploaded, etc) since the developer uploaded the app to the app store. Change the approval status by checking “Approved” or “Not approved”. For “Approved” status, the app can be sent to the next review step (Pre-approved only) or live directly (Fully approved). For “Not approved”, “Pending” can be chosen which will alert the developer that a new, better version needs to be uploaded before it goes live. If “Rejected”, the app will be locked and will be neither updated nor shown in the store. Communication to your users increase their activity and retention rate. Promote apps, top lists, etc. within your app store. Choose platform (Android and/or iOS). Select an action to occur when the notification is clicked (e g, “Go to App detail”: Find the App id on e.g. http://www.IKEA.applandstore.com/, click on the app that should be displayed for the end user, the App id is in the URL: http://www.IKEA.applandstore.com/en/app/1501 (1501 is the app id.) Paste the App ID in the box). 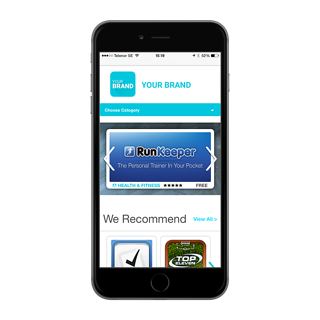 Create your own campaigns to increase activity and retention rate among your users, offer a Premium App for free or a In-app Purchase for free. You don't have to contact the developer to create a campaign to give away apps for free, in the back-end the download will be administrated as a purchase. But, this means that you as a Store Owner will pay for the campaign. You can also contact the developer to create a campaign together. E.g. the developer will offer an In-app purchase in his app for free in exchange fro promotion. This will lead to usage of his app and you as a Store Owner will increase activity and retention among your users. By analysing the behaviors of your users, you can understand them better. 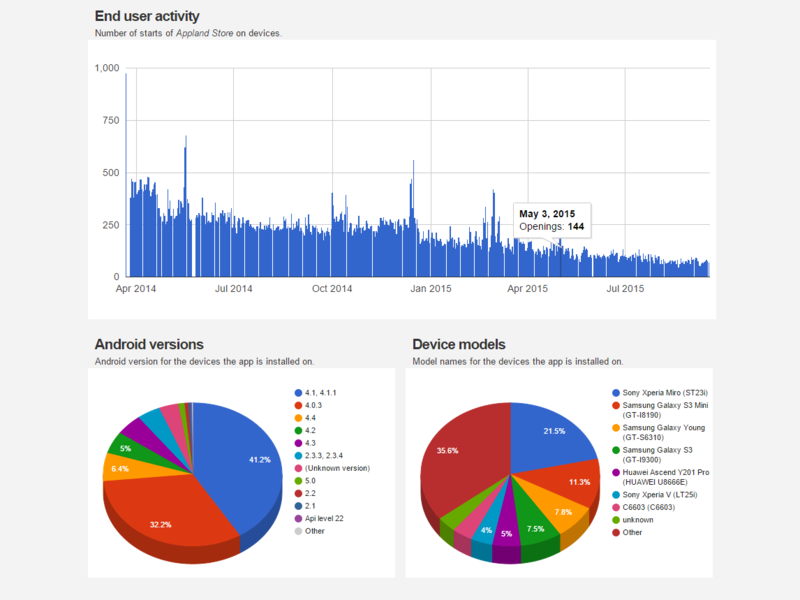 Get statistics of new users, purchases, downloads, end user activity, end user devices and end user retention. It is possible to select a date range and display data per day, week, month or accumulated. All downloads, purchases, uploaded content and installations of the mobile app store are saved as reports. You can view, filter and download these detailed reports. Detailed info about all downloads made from the app store. 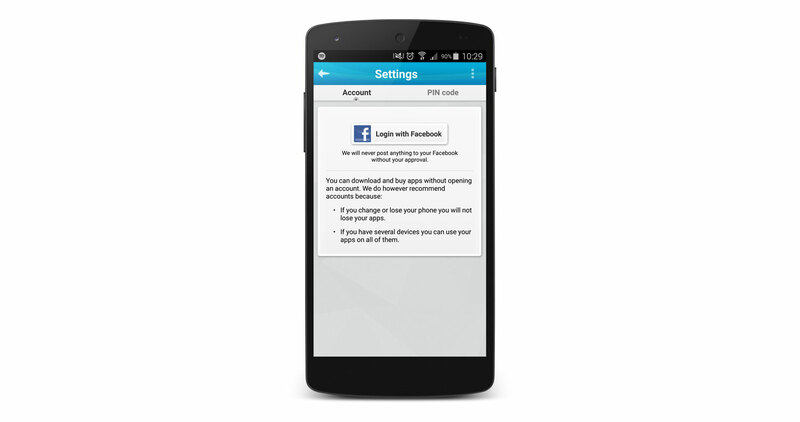 Add the specific App ID to view every download of a specific app. Filter to view downloads made during a specific period. View the report in the browser or download it by clicking “XLS” (Orange box). Detailed info about all purchases made through the app store. Detailed info about all applications submitted to the app store. End users can rate and comment apps and you as a Store Manager can either reject or approve the comments. 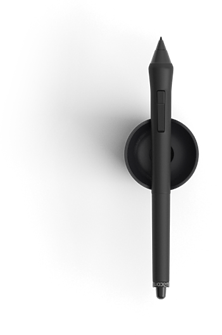 The Appland support team can help you to configure your store with your special needs. 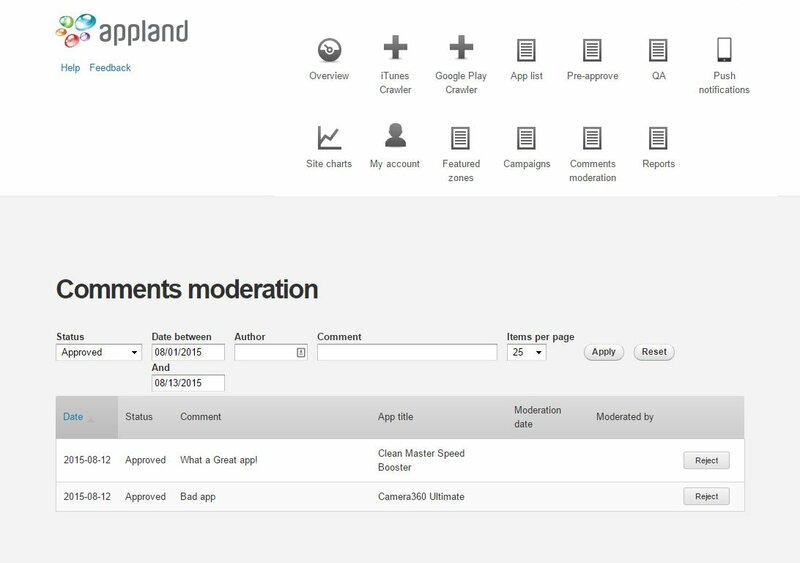 Comments can be published directly or approved by a store manager before published to other end users. View and edit password, bank and personal/company information. Click on a premium app and purchase it. Please note that no end user registration is needed and the demo payment means that you will not be charged for purchases. Several billing alternatives exist, including world-wide carrier billing, credit card billing and virtual currency billing. From the native app store, press the phone’s "MENU" button (or the three dots in upper-right hand corner of the ODP) and go to "Settings" to login via Facebook. Now the user is registered and apps can be transferable to several devices using the same login. Download the native Android App Store on another Android device (e.g. a tablet) and login to the same account as on the previous device. Now the purchased apps can be transferred to the new device. Press the “MENU” button, then “My apps”, swipe to “Purchased” and then download the previously purchased apps without having to pay again.